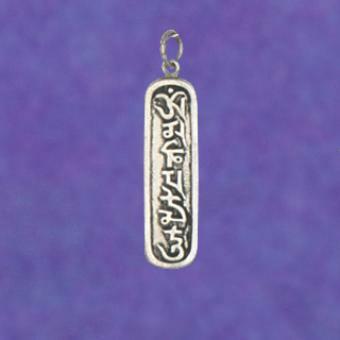 This pendant shows Om Mani Padma Hum in Tibetan seed syllables. The mani mantra is the mantra of Avalokitesvara, the bodhisattva of compassion. 2" long. Also available in small 1.25" long (PE22) @ $8.00.